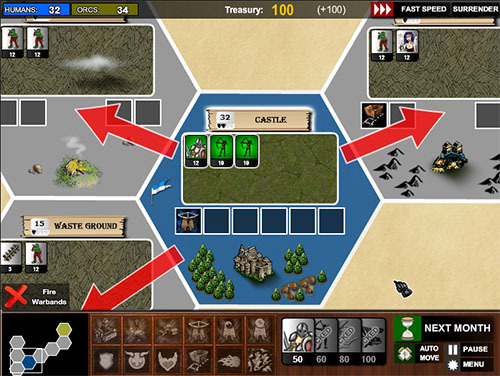 Description An epic strategy game between the three races humans, dwarfs and orcs. A carefull tailored turn based game with detailed real time battles with over 300 units fighting at the same time, madness..
Controls Instructions: Arrow keys or WASD to move the map. In the battle mode the warbands fight by their own, but you can select any warband and control it directly.